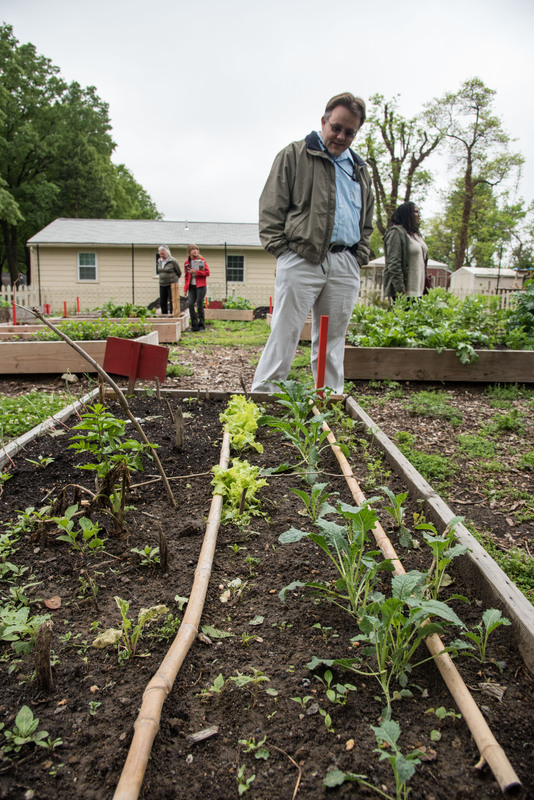 On May 4, the Prince George’s County Food Equity Council sponsored a Urban Agriculture tour with the Prince George’s County Planning Department. Representatives from the Prince Georges’ County Department of Environment and the University of Maryland Extension Program were present. The purpose of the meeting was to help the Prince George’s County Zoning Rewrite team learn more about urban agriculture in Prince George’s County and better understand how urban farms and community gardens currently operate. This experience was also beneficial so that the team can learn how the zoning rewrite can best support an innovative food system in the County. Great to see that our garden can be used as a model for urban community gardens!